The sheer enormity of the place is striking. We’ve never seen anything like this around here, but bigness isn’t “The Thing”. There’s something else—a palpable vibe—an energy that you sense before you even enter. We’ve never seen anything like this around here…at least not for some time. Try to put your finger on what The Thing is. Look up. There’s a vertical marquee sign hanging out over a street corner: POSEIDON. Yes, even the sign out front is a sign (pun somewhat intended) of something pivotal happening around us. It alone is something that we don’t often see around here, both in style and substance, suggesting more the high-energy, au courant place to be in a bustling entertainment district (dare we say, “downtown”?) and less a quaint family seafood house serving local fare in a sleepy seaside resort. And that is The Thing. We’re at the advent of a new era with new visions for what economic growth and prosperity—and hospitality and nightlife—will look like in Hilton Head Island’s future. 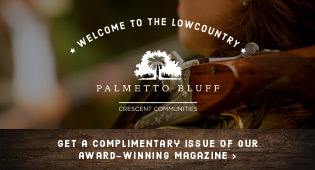 But where to put such a place on Hilton Head Island? Not long ago, the mere suggestion would have been blasphemous. This is an 11,500-square-foot waterfront venue, and that’s only the part guests see. The whole building is closer to 17,000 square feet. Yes, venue is the preferred parlance. Calling Poseidon a restaurant or bar, or even bar-slash-restaurant falls short of the mark. The main dining room seats around 150 inside with another approximately 175 seats for al fresco dining, and then 80-90 more upstairs in the Rooftop Bar. You just don’t see that around here. At least you didn’t until Shelter Cove Towne Centre carved out the ideal space for Poseidon. It was Towne Centre’s developers who approached SERG about doing something grand with the piece of property, not the other way around, according to Carb. 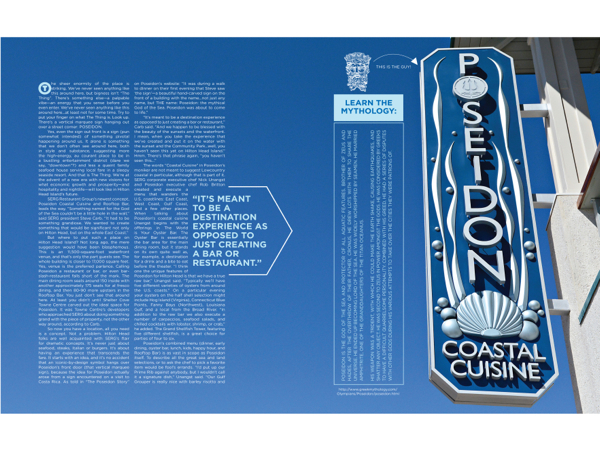 The words “Coastal Cuisine” in Poseidon’s moniker are not meant to suggest Lowcountry coastal in particular, although that is part of it. SERG corporate executive chef Nick Unangst and Poseidon executive chef Rob Britton created and execute a menu that wanders the U.S. coastlines: East Coast, West Coast, Gulf Coast, and a few other places. When talking about Poseidon’s coastal cuisine Unangst begins with the offerings in The World is Your Oyster Bar. The Oyster Bar is essentially the bar area for the main dining room, but it stands on its own quite well as, for example, a destination for a drink and a bite to eat before the theater. “I think one the unique features of Poseidon for Hilton Head is that we have a true raw bar,” Unangst said. “Typically we’ll have five different varieties of oysters from around the U.S. coasts.” On a particular evening your oysters on the half shell selection might include Hog Island (Virginia), Connecticut Blue Points, Fanny Bays (Northwest), Louisiana Gulf, and a local from the Broad River. “In addition to the raw bar we also execute a number of carpaccios, seafood salads, and chilled cocktails with lobster, shrimp, or crab,” he added. The Grand Shellfish Tower, featuring five different shellfish, is a great choice for parties of four to six. 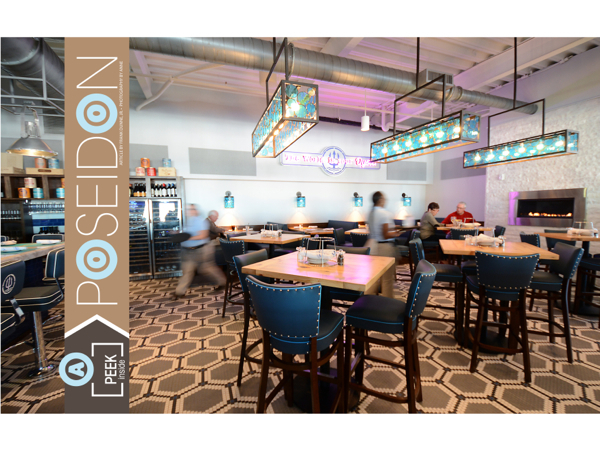 Poseidon’s combined menu (dinner, early dining, oyster bar, lunch, kids, happy hour, and Rooftop Bar) is as vast in scope as Poseidon itself. To describe all the great sea and land selections, or to ask the chef to pick a favorite item would be fool’s errands. “I’d put up our Prime Rib against anybody, but I wouldn’t call it a signature dish,” Unangst said. “Our Gulf Grouper is really nice with barley risotto and roasted vegetables. It’s made with a vegetable stock that’s very flavorful.” He also made a point to mention the Southern Pride Smoked Barbecue Chicken and Barbecue Baby Back Ribs, both with house made sauces and rubs. From experience, the Coastal Combination with baked stuffed shrimp, sea scallops and Ritz Cracker crumb cod is a fun selection when you can’t quite make up your mind, and the Bleu Cheese Filet Medallions (an addition) is as good as it gets. How good is everything? Well, get yourself out to Poseidon and experience it for yourself. That’s what it is: an experience. And now that spring is here, you can enjoy your meal, Broad Creek views, and sunsets out on the Front Porch, which shares a covered patio with the Nauti Bar. Pronounced correctly, Nauti Bar would sound like “naughty bar” for the double entendre effect of a fun little bar with a nautical motif. “When the weather gets nicer, I think it’s really going to come to life,” Carb said. Of course, he could just as well be talking about any of Poseidon’s primary elements: the main dining room and Front Porch, Nauti Bar, or the thing that’s got everybody talking—the Rooftop Bar. “I hear people saying around town, ‘That’s what Hilton Head has needed.’ Right now people are looking for a place to go,” said director of operations Alan Wolf. “This is a little bit upscale where people can go out, dress to impress, have a nice time, do some dancing or catch a good act.” Head on upstairs to the Rooftop Bar and you’ll agree immediately. Hilton Head Island has a true nightclub again. 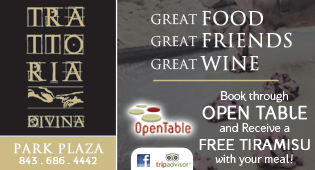 Rooftop manager Laurie Gross said, “There’s a definite Wow! factor when people walk up here.” That Wow! 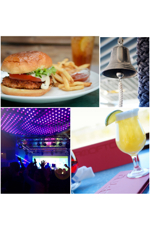 factor will only grow stronger as the weather gets warmer and the Rooftop Bar gets to open its massive windowed doors to sweeping Broad Creek views and epical sunsets, creating an entertainment experience worthy of the Hilton Head Island coastal lifestyle. “I really can’t wait until we can fully utilize all of this space,” Gross said. It’s not that there aren’t any other places to go for entertainment and nightlife, but the Rooftop Bar at Poseidon takes it up a notch. A few notches would be more accurate. Yes, it’s large, but there’s more to it than that. It has a sense of style—an elegance that feels like a night on the town in the big city. “I’ve had professional sound engineers tell me that our audio system would play well in New York City,” Wolf said. Details like VIP booths and bottle service add a touch of class, and there is a dress code. It’s not overly strict, but dress to impress and leave the flip-flops home. Clockwise from left: Northeastern Salmon Burger, Ringing in the weekend at Poseidon. Evening cocktails at the Rooftop Bar, and DJ Dance party. Gross makes sure there’s always something going on at the Rooftop Bar. Coastal Country Night (Wednesdays) with free line dance lessons became an immediate surprise hit. “I’ve heard a lot of people say they had no idea that country music was so popular around here,” she said. “Tuesdays will be Almost Live where we’ll play concerts by different bands on our large screen TV—the Rolling Stones, maybe U2. Those are the kind of bands we’ve talked about. The idea is to give you the concert experience without being at the concert.” That’s Almost Live, but you get the real thing at the Rooftop Bar, too, with live performances by local favorites like OCD, White Liquor and Cranford Hollow to name a few, and that list will surely grow as time goes by. “Fridays we’re doing a happy hour band, and then in the evening we’ll have more of a party band,” Gross added. “Saturdays are typically DJ nights.” Putting a new twist on full moon parties that have become quite popular, once per month the Rooftop Bar hosts Carolina Moon Parties. “It’s when the moon is in its waxing crescent phase so it looks like the crescent on the South Carolina flag,” she said. By all accounts, Poseidon Coastal Cuisine and Rooftop Bar has been a success since opening in late December, but in a sense we haven’t seen anything yet. By the time you read this, we should be well on our way into warmer springtime weather and heading into summer. By the time you read this, Poseidon will be in the midst of full self-actualization. Be first in line. Poseidon Coastal Cuisine and Rooftop Bar does not take reservations, but Priority Seating is available. 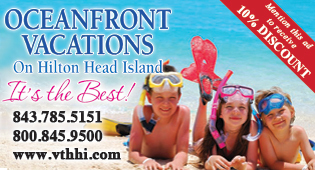 To hold your spot, visit PoseidonHHI.com. For more information call (843) 341-3838, e-mail Poseidon@SergGroup.com, or better yet, drop in for a visit to see for yourself what everybody’s talking about. 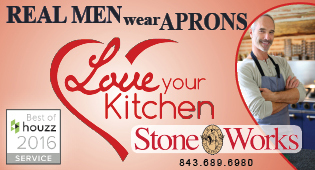 Poseidon Coastal Cuisine and Rooftop Bar is located in Shelter Cove Towne Centre at 38 Shelter Cove Lane, Suite 121. His weapon was a trident, with which he could make the earth shake, causing earthquakes, and shatter any object. He was second to Zeus in power amongst the gods. He was considered by Greeks to have a difficult quarrelsome personality. Combined with his greed, he had a series of disputes with other gods during his various attempts to take over the cities they were patrons of. Sounds like a must night out during our trip to the heritage this year! First time at Poseidon. Loved it! The outdoor dining is unique and fabulous. Food excellent. Can’t wait to return.